Amazon is one of the largest websites on the internet, and the opportunities it offers for small business marketing and selling products are incredible. That means that the opportunities for making money are enormous, too! With such scale comes an intimidating prospect: how do you ensure that your product gets seen in this endlessly vast online space? Aren’t you, as an independent small business, just plankton in a limitless ocean of much bigger fish? Amazon really is as gigantic as we’re suggesting, as you can see from the stats listed here. However, you don’t have to compete with every other user – you just need to find your own personal niche, and then promote your product across as many effective small business marketing channels as possible. But which kinds of Amazon marketing magic tricks are most effective? Which will attract the hungriest customers? And how should you market your wares once you get there? Grab yourself a cuppa, sit back, and let us take you through the top 10 most effective methods of getting your product under the noses of the people who want to buy it most. The first step that any Amazon seller should prioritise before turning to more advanced marketing moves is to ensure that the listing itself is top-quality, drawing in the right people and encouraging them to buy your product. Research how the right title, the right keywords and the right description can enhance your product’s SEO so that it appears higher up the Amazon search rankings. Once you have uncovered some of the many ways you can help your product climb Amazon’s listings, implement the advice you have found as effectively and thoroughly as you can. Of course, it isn’t only the SEO factor that makes your product listing successful. A professional and accurate photograph increases the likelihood of an Amazon browser clicking through to your product, and an appealing description and thorough breakdown of your product features will help usher them closer to buying from you. Paying for sponsored adverts for effective Amazon marketing is a shortcut to getting your product seen by more people. When you are paying hard cash for the privilege, though, you need to make sure that you are doing it well and getting the best bang for your buck. To start, you may want to run an automatic campaign that Amazon itself modifies and optimises for you. This option removes the need for selecting your own keywords and targets what the website intends to be the most relevant customer searches for your listing. Alternatively, you can go for manual targeting, which offers a much higher level of control over your advert by enabling you to identify the precise keywords you want to target. This, of course, requires more time and research. As with any paid advertising, there are pros and cons, but because the cost-per-click for Amazon sponsored adverts is generally very low, there is less risk involved with starting small, risking a little, and seeing if your sales rise as a result. By using your social media influence to sell your products on Amazon, you can increase your reach almost limitlessly. Social media has been growing steadily since its earliest days, and the number of potential marketing channels is now enormous. Social platforms no longer just include Facebook and Twitter – although these are still probably the heaviest hitters – but also Instagram, Pinterest, Whatsapp, Snapchat, and more. Research the kinds of users that congregate on each channel, or define how to target your specific audience through each channel and work to appeal to them through the busiest and most popular networks. Just remember that unless you are very smart about the way you market on social media, people can be put off by pushy companies, and may opt to unfollow (or worse block!) you if you offer them nothing but advertisements. On the back end of your Amazon listing, you will find a Search Terms section. While this option is not visible to the public, taking advantage of it can have a huge impact on the number of visitors who are finding your product. When looking to improve your search terms, remember that you do not need commas and you do not need to make full sentences out of your keywords, but you do need spaces and you should include both singular and plural versions of important keywords. These words should include any terms that a potential customer might use to describe what they are looking for when they are seeking a product like yours. In a similar manner to using social media as an effective small business marketing channel, you can use your own website or blog to promote your products. If you have a strong following and visitors coming to your website each day, this creates a prime opportunity for spreading news of your products far and wide, and to an audience that is already likely to be engaged with your message. You can do this via banner adverts, having the product’s own separate page, focusing on the product in a blog article, or simply ending each blog entry with a link to the product. Winning the Buy Box has become an essential element of selling on Amazon, as it immediately propels you to the top of the list of sellers who are suggested whenever a visitor searches for an item like yours. However, just as you’d expect, there is usually fierce competition for those wishing to appear here. The most important Buy Box metric is the total of your product price plus shipping costs, because Amazon lists the lowest-costing products by default at the top of the seller list page. However, the Buy Box also considers shipping performance and seller rating. You can learn more about winning the Buy Box here. While this is an effective method of marketing your Amazon product, you need to make sure that you are not indulging in anything unethical. “Legitimate” ASIN piggybacking involves identifying a product on Amazon that is selling well and locating the Amazon Standard Identification Number (ASIN) in the product details. Then you can work out how much it will cost to resell such a product by researching the manufacturer and calculating whether you can make a profit from selling at less than the current Buy Box price. The blackhat version of this, which we do NOT recommend, involves finding a knock-off version of a product and selling it using the ASIN number of the genuine article. This is something that you must be aware of that other unscrupulous sellers may potentially do to you if you sell a successful product on Amazon yourself. Another form of Amazon marketing is promoting your product via Adwords – but this is only a viable option with the right kind of conversion rate that allows you to turn a profit while doing so. Adwords on Google can end up being expensive, so if you aren’t making enough per item to justify the cost of Google’s paid advertising, you are going to want to give this option a miss. Facebook’s targeting capabilities for advertising are astonishing, and enable you to divide your audience by gender, age, location, interests, and a near-endless list of other options. As with any social media advertising, it is important to remember that research shows that users are not generally on the verge of making purchases when they are scrolling through their timelines. However, the influence that social media has on buyers’ decision-making means that it can be worth selling products in this way. Just remember to encourage conversation through the advert, encourage reviews, and focus on topics that are likely to engage users, rather than simply having a link to the product that you want them to buy. Having positive reviews on Amazon reassures potential customers that you are a legitimate seller who will provide the product and the service that you claim you will. The occasional poor review is inevitable, but if you give great customer service and keep lines of communication open between the customer and you, including after the sale has taken place, you are more likely to give your customers a positive experience that they will want to give feedback on. Resist the temptation to offer incentivised reviews, and never go guerrilla by faking them. 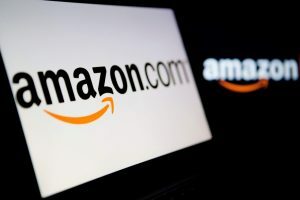 Amazon is getting tighter and smarter about discovering the culprits who are breaking its rules, so focus on legitimate means for getting great feedback and avoid the risk of being banned, or even prosecuted. As this list shows, there are countless ways that you can promote your Amazon products, and it will depend on you, your company, your following, your product and your audience as to which are going to prove most effective for you and your business. A perspective of putting in the research before trying and seeing what works is best, as long as you spend the right amount of time doing so and experimenting with marketing strategies in a structured, methodical manner. Now go – fill the niche that your customers are so hungry for, and promote it like mad!